Does your dog bolt its food down? Durapet Slow-Feed Bowls are healthy for dogs because they slow down their eating, which improves digestion and nutrient absorption and can help prevent bloating. 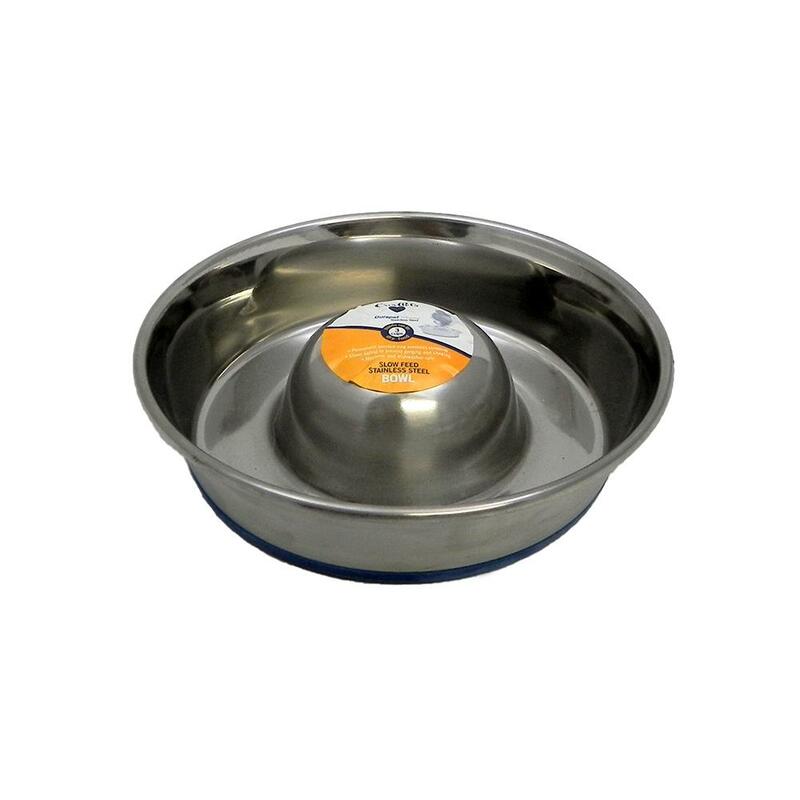 Designed specifically to make dogs eat more slowly, this bowl features high quality stainless steel and a bonded rubber ring around the bottom to help prevent skidding. A dome in the middle of the bowl keeps the food to the side of the dish, which in turn makes the dog have to slow down to get all of their kibble. Dishwasher safe and a manufacturer's lifetime guarantee. Measures 7 1/2 inches across the top at the widest point, and 2 1/4 inches tall.